Call and E-mails MUST BE SENT THIS MORNING! Today, at 1:30 PM, the Kentucky Board of Education will meet in both open and closed session, to install Governor Bevin’s School Choice appointees to the Kentucky School Board. During this meeting, they will go into closed Session to discuss personnel matters regarding Kentucky Commissioner of Education, Dr. Stephen Pruitt. Save Our Schools Kentucky anticipates that in this closed session, they will remove Dr. Stephen Pruitt from his position and appoint Dr. Wayne Lewis, Chair of the Kentucky Charter Schools Advisory Council, as an Interim Leader until they find who they believe to be a suitable Education Commissioner to support their School Choice agenda, which Save Our Schools Kentucky believes to be destabilizing to public education in Kentucky. 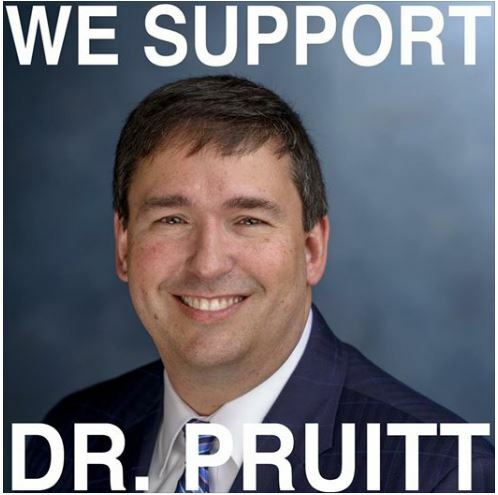 The only way to stop this from happening is to contact the Kentucky Board of Education members and respectfully ask them to retain Commissioner Pruitt in his current position to provide stability to the Kentucky Department of Education and to continue his dedicated work for Kentucky’s Schools and school children, during a traumatizing fiscal and political climate. Use this link to email them all at the same time! Shame on you ! Trying to ruin our public schools . Charter schools are not for rural Kentucky. Get a grip and support students not politics . Gov . Bevin will not get a second term. So help yourself by doing he right thing for a change .